Phrase meaning: to, as far as... concerned, for. Sore wa watashi ni totte mondai dewa arimasen. as far as I'm concerned that is not a problem. 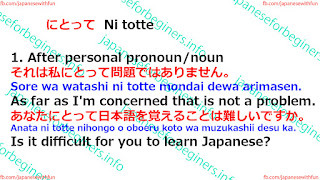 Anata ni totte nihongo o oboeru koto wa muzukashii desu ka. 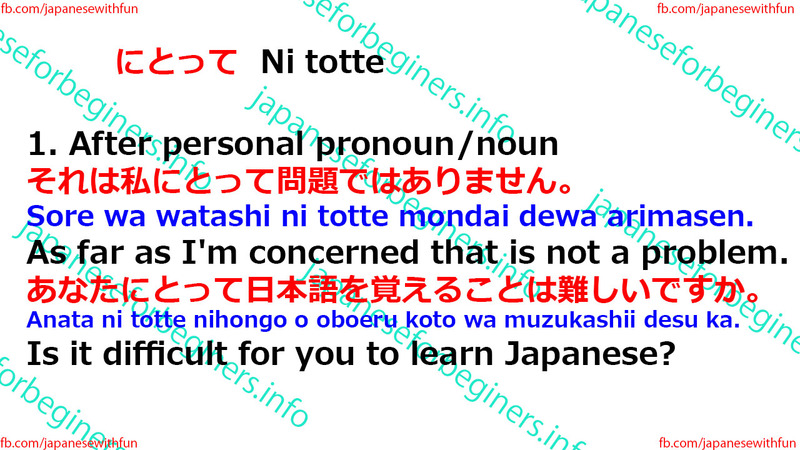 is it difficult for you to learn Japanese? Sore wa kanojo ni totte futsugou-na no desu ka. Is it inconvenient for her?